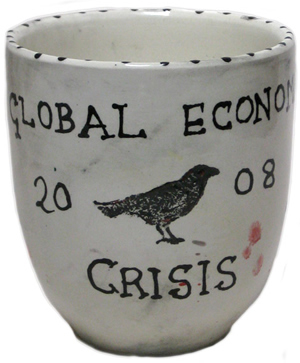 Available for purchase from the Aquarium L-13 in London is the Global Economic Crisis Mug by STOT21stCplanB. The mug is from a line of hand-decorated teapots, cups and saucers, and jugs called the "New Austerity Range." 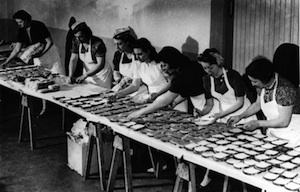 The website informs us that "STOT21stCplanB have no formal training in the art of ceramics." £40.00!